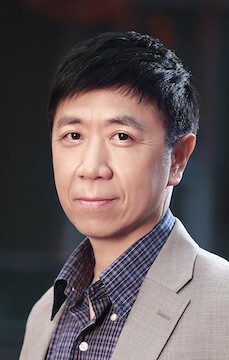 LinkedIn today announced the appointment of Jian Lu as President of LinkedIn China. In this role, Jian will oversee LinkedIn’s business and R&D in China. The appointment will be effective immediately and he will report directly to Mohak Shroff, Senior Vice President & Global Head of Engineering, LinkedIn. An inspiring team builder and leader, Jian brings with him more than 20 years of experience managing technology companies in the U.S. and China. He owns specialties in general management, product management, new technology and product development, team building, leadership, innovation and IPR management, start-ups, etc. Prior to joining LinkedIn, Jian was a partner of Hujiang EdTech, and CEO of CCtalk, a subsidiary of Hujiang. Jian has also demonstrated his capabilities and profound understanding of the internet industry through his work with reputable companies: He was CTO of 360 Video and General Manager of 360 Live Video Cloud at Qihoo 360 before joining Hujiang. Previously, he was vice president of Shanda Interactive Entertainment and Managing Director of Shanda Innovations, Beijing, and also served as CTO at Ku6.com, a Shanda subsidiary. He was co-founder and CTO of Vobile (03738.HK) from 2005 to 2010. Earlier in his career, he worked at Apple for eight years, first as senior scientist in the Interactive Media Group and then lead principal engineer in pro video engineering. Since July 2017, Francis Tsang has made significant contributions and achievements as interim president of LinkedIn China. Under his leadership, LinkedIn joined Tsinghua University to publish the China Digital Economy Talent Report in November 2017, indicating the official launch of LinkedIn’s Economic Graph in China. In addition, LinkedIn Innovation Centre in Shenzen was officially launched in December, with the aim of empowering the local government and enterprises with LinkedIn’s advantages in big data, global platform and LTS solutions. China is one of the most significant and strategic markets for LinkedIn. In the past year, LinkedIn China continued to make progress towards creating economic opportunity for its members in China, which is set to unlock the massive potential. As of December 2017, LinkedIn China hit 39 million members, eight times the number of users recorded when LinkedIn first entered China in 2014. In addition, its enterprise-level clients surpass more than 1,000, covering government, high-tech, internet, finance, manufacture, communication, retail and automotive industry.